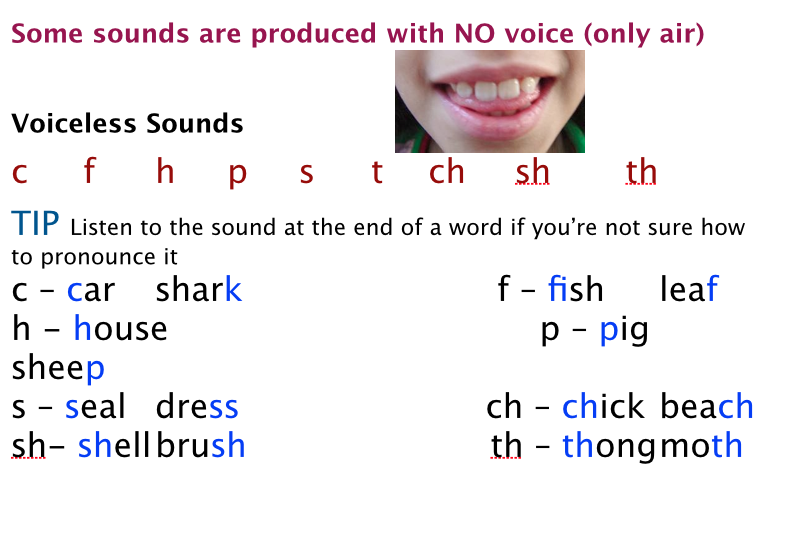 If there is an ng sound or a long vowel sound, it is usually just a k.
Learning the difference between short and long vowel sounds. We need to know this because the Yr 2's are learning spelling rules. 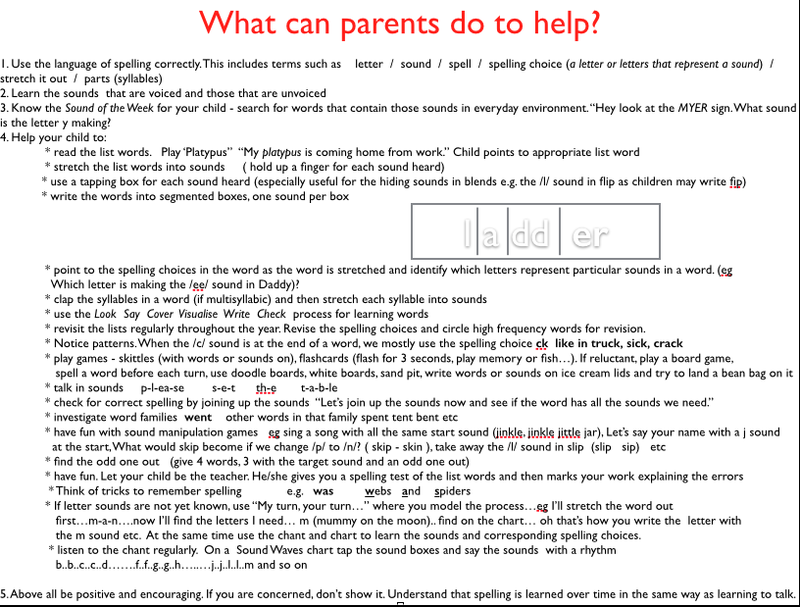 LEARNING WORDS AT HOME - Each work your child will bring home a spelling list with ten highlighted words to learn. 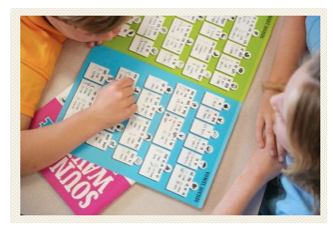 We encourage children to use the Look Say Cover Visualise Write Check process to learn words. Then stretch the syllables into sounds (holding up one finger for each sound) ch-o-p. In this case the word only has the one syllable. Then say and stretch the first syllable chil ch-i-l and then the second dren d-r-e-n (holding up one finger for each sound). In this case the word has two syllables.